Ingmar Bergman's highly influencial philosophical roadmovie. 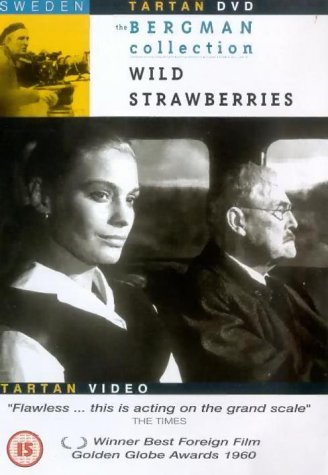 Wild Strawberries charts the journey of ageing Professor Isak Borg (Victor Sjostrom) as he travels by car to his old alma mater, where he is to receive an honorary degree. Accompanied by his daughter-in-law, Marianne (Ingrid Thulin) who is travelling to meet her estranged husband, the Professor finds himself the subject of unsettling visions from his past, recalling lost loves and his own failed marriage. As the pair are interrupted by a youthful love triangle and a feuding older couple Isak is forced to confront his own coldness, and the possibility that his life has been wasted.